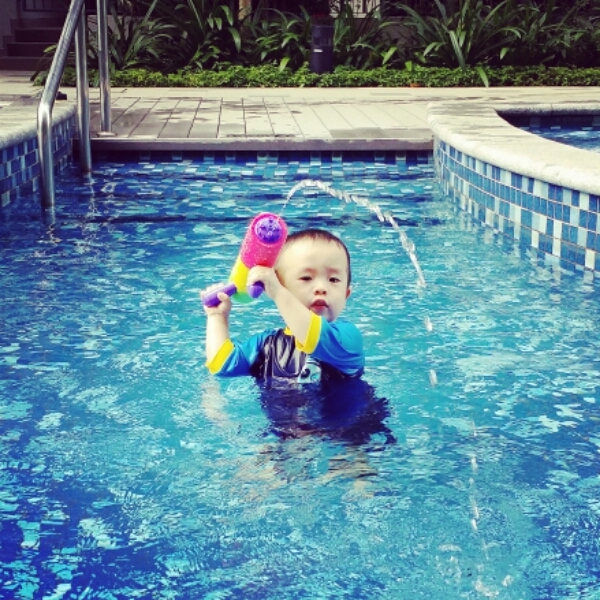 Children love to play with water. Ted calls it swimming, but it’s really just monkeying around in water. We bought him a water gun from Giant, and it was fun teaching him to use it. He struggled with the concept of pulling back the “trigger” with the nozzle in the water and then pushing it out to shoot the water out. 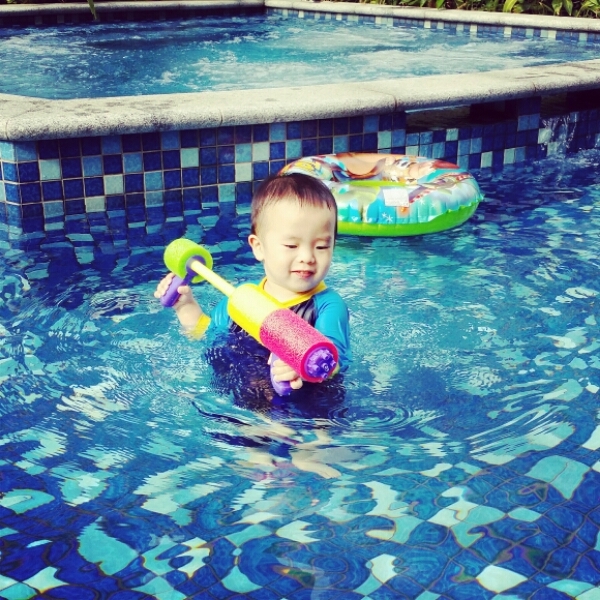 We think he hasn’t yet associated the speed of closing the trigger with the projectile of the water, but once he does, each trip to the pool will be quite the water battle. 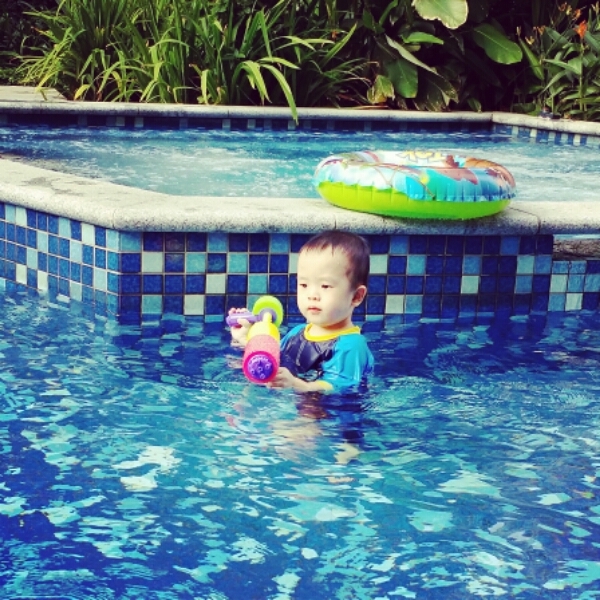 We also bought a little lifesaver and are looking forward to the day he picks up swimming.